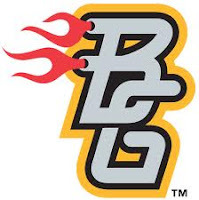 Minor League Baseball has announced that the Durham Bulls and the Bowling Green Hot Rods were in the top 25 teams in merchandise sales for 2010. The Bulls have made the list every year since MILB began tracking sales data in 1993. This is the Hot Rods first appearance, which is impressive since they only began play in 2009. Overall, the MILB national Licensing Program saw a 12 percent increase in the sales of licensed merchandise during the 2010 calendar year. Albuquerque Isotopes, Bowling Green Hot Rods, Carolina Mudcats, Charleston RiverDogs, Columbus Clippers, Corpus Christi Hooks, Durham Bulls, Fort Wayne TinCaps, Indianapolis Indians, Lake Elsinore Storm, Lakewood BlueClaws, Lansing Lugnuts, Lehigh Valley IronPigs, Midland RockHounds, Myrtle Beach Pelicans, Pawtucket Red Sox, Portland Sea Dogs, Reno Aces, Richmond Flying Squirrels, Rochester Red Wings, Round Rock Express, Sacramento River Cats, Toledo Mud Hens, Trenton Thunder, and the Wisconsin Timber Rattlers.